Utility stocks are suddenly the hip thing on the stock market. The two top ETFs SPDR Utilities ETF (NYSEARCA:XLU) and Vanguard Utilities ETF (NYSEARCA:VPU) have returned 4.73% and 4% YTD returns. Dow Jones Utility Average (DJU) has returned 9.7% YTD. One utility stock that I believe is worth adding to your portfolio right now is the Fortune 250 power generation company, NRG Energy (NYSE:NRG). NRG Energy has announced on Sunday this week that it will be merging with GenOn Energy (NYSE:GEN). GenOn was formed two years ago when energy companies RRI Energy and and Mirant merged. Yes, the same Mirant that made a hostile takeover bid for NRG six years ago. How tides shift and times change! This time around, NRG made a merger offer to the same management and board who have interestingly agreed with little or no opposition. The merger undoubtedly has greater upsides for GenOn. 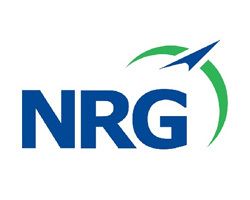 The merged company will retain NRG’s name, with NRG’s shareholders owning 71% of the company. Now that I’ve given a brief intro, we can move on to understanding why some analysts and investors are bullish about this company. I’ve discussed acquisition offerings in an earlier piece where I briefly touched why, theoretically, acquisitions via cash offering are likely a buy signal for the acquirer’s stock. In case of stock offerings however, acquirer’s stocks are usually shorted. NRG has proposed a stock offering of 0.1216 of NRG shares for each GenOn share but at the same time NRG’s shares have soared after the announcement. Practice refutes theory here (albeit nothing new thing for stock markets). The explanation is simple. Investors perceive this to be a move of synergistic value to NRG. And it is! This merger is going to create one of the biggest private power generation companies in the whole of US. The merged NRG will have the capacity to generate more than 47,000 megawatts of energy (pre-merger 25000 MW) beating other industry players like Southern Co. (NYSE:SO) with generation capacity of 42,000MW, American Electric Power (NYSE:AEP) with 38,000MW and Dominion Resources (NYSE:D) with 28,142MW. The merger will help NRG to widen its operations across the US, spreading throughout the East and West Coasts and across the Gulf of Mexico region. Peers, in contrast, have narrower operations. American Electric is spread across the Eastern and Central America. Dominion provides services in the Midwest, Mid-Atlantic and Northeast regions. New York based Consolidated Edison (NYSE:ED) has its primary focus on the Northeast region. Southern Co., a self explanatory name, primarily operates in Georgia, Alabama and Southern States. Post merger, NRG forecasts earnings to increase by $200 million annually by 2014. This will partly be achieved through interest savings on average of $100 million a year. So these are just forecasts? Not really. They’ll likely materialize. Why? Because NRG has just declared its first ever quarterly dividend. And theory tells us that a company announces a dividend ONLY if it believes it will be able to continue paying it in the future. A dividend cut is most definitely bad news. NRG has stepped out of the conventional realm of power generation companies. In addition to providing electricity to millions of homes, produced through natural gas, coal, fossil fuels and the largest network of its solar panels, NRG has also made its way into non-conventional projects. EVgo, a subsidiary of NRG is busy expanding its ecosystem of charging stations for EVs around the US. With increasing fuel prices, EVs and Hybrids saw a rise in demand this year. Totoya Prius, Ford Focus and Nissan Leaf (all EVs/hybrids) were amongst the most sold cars of this year. NRG’s eVgo offers EV owners exciting plans for home charging docks (equipment set up at your home) and mobile docks (eVgo stations around the country) that will help you charge your car at home or on the go. One of the core values at NRG is their respect for environment. The company has some innovative eco-friendly projects up its sleeves. They believe in self sustenance on domestic resources and less reliance on foreign fuel or other foreign energy resources. One of NRG’s subsidiaries, Petra Nova, has undertaken a project that will make use of Enhanced Oil Recovery (EOR) processes to re-use carbon dioxide, which is otherwise a byproduct/waste, for increasing energy production. A quick look at financials tells us that the company, which was doing just fine only three years ago, has been in trouble for over a year now. Cons: Revenues increased over the past four years but costs increased by a greater margin leading to an overall decline in profits over the same period. If we look at the quarterly trend, NRG reported a $618 million in net income four quarters ago in June 2011. In the latest quarter March 2012, profits were down so much so that NRG reported a net loss of $209 million. The year has been challenging for the company. Pros: Capital expenditures for expansion increased greatly which can explain why the company faced trouble with cash flows. Capital expenditures were up more than 225% in 2011 from previous year. In the last four quarters, NRG repaid more than $5 billion of its long term debt. Current ratio is 1.23 indicating that the company won’t have trouble paying off its current liabilities with its greater current assets. I’ve compared some financials of NRG with other industry players but bear in mind that the current position and performance of NRG will certainly improve once the merger is complete. So basing the analysis on current financials wouldn’t be completely fair as that would likely underestimate the company. NRG has the lowest current P/S and P/B, and Forward PEG ratios than the peers, indicating an undervalued stock. It’s EV/EBITDA is also in the mid range of the EV/EBITDAs of its peers. I generally don’t like the P/E multiple, forward or trailing, but since some investors do, so I might as well include it. NRG’s forward P/E is so high that it obcures the inference a little. Nonetheless, NRG has a five star rating on Motley Fool Caps and it is rated as outperform by 186 of the total 189 all-star players. According to Fool Caps, Wallstreet’s 14 analysts rate it as outperform against only one vote of underperformance. Buy or not, this is one stock you would definitely want to put on your watchlist.